The Toyota RAV4 is one of the most popular compact SUVs on the market, and you can get one for an affordable price when you shop for a used Toyota RAV4 near Greenwood. 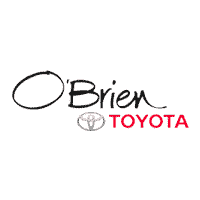 O'Brien Toyota currently has 18 in stock, so it’s a great time to take advantage of excellent gas mileage, plenty of interior space for five passengers, and available all-wheel drive. Excellent Condition, GREAT MILES 49,856! XLE trim. Sunroof, iPod/MP3 Input, Bluetooth, Dual Zone A/C, CD Player, Back-Up Camera CLICK NOW! KEY FEATURES INCLUDE Sunroof, Back-Up Camera, iPod/MP3 Input, Bluetooth, CD Player, Aluminum Wheels, Dual Zone A/C Rear Spoiler, MP3 Player, Keyless Entry, Privacy Glass, Steering Wheel Controls. OPTION PACKAGES ROOF RACK CROSS BARS. Toyota XLE with Black exterior and Ash interior features a 4 Cylinder Engine with 176 HP at 6000 RPM*. Non-Smoker vehicle. MORE ABOUT US This great value located at O'Brien Toyota in Indianapolis. See the difference being family-owned makes in your customer service. Our family works for you. Since 1933. Pricing analysis performed on 3/13/2019. Horsepower calculations based on trim engine configuration. Please confirm the accuracy of the included equipment by calling us prior to purchase. CARFAX 1-Owner, Clean, ONLY 34,988 Miles! REDUCED FROM $18,460!, $1,300 below Kelley Blue Book!, EPA 31 MPG Hwy/24 MPG City! CLICK NOW! KEY FEATURES INCLUDE Back-Up Camera, iPod/MP3 Input, Bluetooth, CD Player, Brake Actuated Limited Slip Differential Rear Spoiler, MP3 Player, Privacy Glass, Keyless Entry, Child Safety Locks. Toyota LE with Super White exterior and Black interior features a 4 Cylinder Engine with 176 HP at 6000 RPM*. Non-Smoker vehicle. AFFORDABLE TO OWN Was $18,460. This RAV4 is priced $1,300 below Kelley Blue Book. BUY WITH CONFIDENCE CARFAX 1-Owner OUR OFFERINGS This great value located at O'Brien Toyota in Indianapolis. See the difference being family-owned makes in your customer service. Our family works for you. Since 1933. Pricing analysis performed on 4/15/2019. Horsepower calculations based on trim engine configuration. Fuel economy calculations based on original manufacturer data for trim engine configuration. Please confirm the accuracy of the included equipment by calling us prior to purchase. CARFAX 1-Owner, Superb Condition, GREAT MILES 42,354! EPA 30 MPG Hwy/23 MPG City!, $1,100 below Kelley Blue Book! CD Player, Bluetooth CLICK ME! KEY FEATURES INCLUDE Back-Up Camera, iPod/MP3 Input, Bluetooth, CD Player, Brake Actuated Limited Slip Differential Rear Spoiler, MP3 Player, Keyless Entry, Privacy Glass, Child Safety Locks. Toyota LE with Electric Storm Blue exterior and Black interior features a 4 Cylinder Engine with 176 HP at 6000 RPM*. Serviced here, Non-Smoker vehicle. A GREAT TIME TO BUY This RAV4 is priced $1,100 below Kelley Blue Book. SHOP WITH CONFIDENCE CARFAX 1-Owner WHO WE ARE This great value located at O'Brien Toyota in Indianapolis. See the difference being family-owned makes in your customer service. Our family works for you. Since 1933. Pricing analysis performed on 3/15/2019. Horsepower calculations based on trim engine configuration. Fuel economy calculations based on original manufacturer data for trim engine configuration. Please confirm the accuracy of the included equipment by calling us prior to purchase. PRICE DROP FROM $19,460, EPA 29 MPG Hwy/22 MPG City! CARFAX 1-Owner, Extra Clean, LOW MILES - 41,806! Navigation, Moonroof READ MORE! KEY FEATURES INCLUDE Sunroof, All Wheel Drive, iPod/MP3 Input, Chrome Wheels, Dual Zone A/C Rear Spoiler, Privacy Glass, Keyless Entry, Steering Wheel Controls, Child Safety Locks. OPTION PACKAGES RADIO: ENTUNE DISPLAY AUDIO W/NAVIGATION 6.1 touch-screen w/integrated backup camera display, AM/FM CD player w/MP3/WMA playback capability, 6-speakers in 6 locations, SiriusXM Radio, HD Radio w/iTunes Tagging, auxiliary audio jack, USB port w/iPod connectivity and control, vehicle information w/customizable settings, hands-free phone capability, phone book access, advanced voice recognition, text-to-speech w/programmed and customizable test responses and music streaming via Bluetooth wireless technology, HEIGHT-ADJUSTABLE POWER LIFTGATE. Toyota XLE with Barcelona Red Metallic exterior and Ash interior features a 4 Cylinder Engine with 176 HP at 6000 RPM*. Serviced here, Non-Smoker vehicle. A GREAT TIME TO BUY Was $19,460. This RAV4 is priced $900 below Kelley Blue Book. BUY FROM AN AWARD WINNING DEALER This great value located at O'Brien Toyota in Indianapolis. See the difference being family-owned makes in your customer service. Our family works for you. Since 1933. Pricing analysis performed on 4/12/2019. Horsepower calculations based on trim engine configuration. Fuel economy calculations based on original manufacturer data for trim engine configuration. Please confirm the accuracy of the included equipment by calling us prior to purchase. WAS $20,726, FUEL EFFICIENT 29 MPG Hwy/22 MPG City! Toyota Certified, CARFAX 1-Owner, Excellent Condition. NAV, Sunroof, Dual Zone A/C CLICK ME! 12-Month/12,000-Mile Limited Comprehensive Warranty, 7 Year/100,000 Mile Limited Powertrain Warranty from date of original purchase, 160-Point Inspection and Reconditioning, 1 Year of Roadside Assistance, Vehicle History Report A GREAT TIME TO BUY Reduced from $20,726. This RAV4 is priced $600 below Kelley Blue Book. KEY FEATURES INCLUDE Sunroof, All Wheel Drive, iPod/MP3 Input, Chrome Wheels, Dual Zone A/C. Rear Spoiler, Privacy Glass, Keyless Entry, Steering Wheel Controls, Child Safety Locks. OPTION PACKAGES RADIO: ENTUNE DISPLAY AUDIO W/NAVIGATION 6.1 touch-screen w/integrated backup camera display, AM/FM CD player w/MP3/WMA playback capability, 6-speakers in 6 locations, SiriusXM Radio, HD Radio w/iTunes Tagging, auxiliary audio jack, USB port w/iPod connectivity and control, vehicle information w/customizable settings, hands-free phone capability, phone book access, advanced voice recognition, text-to-speech w/programmed and customizable test responses and music streaming via Bluetooth wireless technology, HEIGHT-ADJUSTABLE POWER LIFTGATE. Toyota XLE with Super White exterior and Ash interior features a 4 Cylinder Engine with 176 HP at 6000 RPM*. Non-Smoker vehicle. EXPERTS ARE SAYING Great Gas Mileage: 29 MPG Hwy. VISIT US TODAY This great value located at O'Brien Toyota in Indianapolis. See the difference being family-owned makes in your customer service. Our family works for you. Since 1933. Pricing analysis performed on 4/5/2019. Horsepower calculations based on trim engine configuration. Fuel economy calculations based on original manufacturer data for trim engine configuration. Please confirm the accuracy of the included equipment by calling us prior to purchase. Superb Condition, CARFAX 1-Owner, LOW MILES - 34,058! $500 below Kelley Blue Book!, EPA 29 MPG Hwy/22 MPG City! Bluetooth, CD Player AND MORE! KEY FEATURES INCLUDE All Wheel Drive, Back-Up Camera, iPod/MP3 Input, Bluetooth, CD Player. Rear Spoiler, MP3 Player, Privacy Glass, Keyless Entry, Steering Wheel Controls. Toyota LE with Hot Lava exterior and Black interior features a 4 Cylinder Engine with 176 HP at 6000 RPM*. Serviced here, Non-Smoker vehicle. A GREAT TIME TO BUY This RAV4 is priced $500 below Kelley Blue Book. VISIT US TODAY This great value located at O'Brien Toyota in Indianapolis. See the difference being family-owned makes in your customer service. Our family works for you. Since 1933. Pricing analysis performed on 3/29/2019. Horsepower calculations based on trim engine configuration. Fuel economy calculations based on original manufacturer data for trim engine configuration. Please confirm the accuracy of the included equipment by calling us prior to purchase. CARFAX 1-Owner, Superb Condition, GREAT MILES 25,619! PRICED TO MOVE $800 below Kelley Blue Book!, FUEL EFFICIENT 29 MPG Hwy/22 MPG City! AND MORE! KEY FEATURES INCLUDE All Wheel Drive, Back-Up Camera, iPod/MP3 Input, Bluetooth, CD Player Rear Spoiler, MP3 Player, Privacy Glass, Keyless Entry, Child Safety Locks. OPTION PACKAGES ROOF RACK CROSS BARS. Toyota LE with Super White exterior and Black interior features a 4 Cylinder Engine with 176 HP at 6000 RPM*. Serviced here, Non-Smoker vehicle. A GREAT VALUE This RAV4 is priced $800 below Kelley Blue Book. SHOP WITH CONFIDENCE CARFAX 1-Owner OUR OFFERINGS This great value located at O'Brien Toyota in Indianapolis. See the difference being family-owned makes in your customer service. Our family works for you. Since 1933. Pricing analysis performed on 3/29/2019. Horsepower calculations based on trim engine configuration. Fuel economy calculations based on original manufacturer data for trim engine configuration. Please confirm the accuracy of the included equipment by calling us prior to purchase. Spotless, CARFAX 1-Owner, GREAT MILES 25,601! $600 below Kelley Blue Book!, EPA 30 MPG Hwy/23 MPG City! Moonroof, Bluetooth SEE MORE! KEY FEATURES INCLUDE Sunroof, Power Liftgate, Back-Up Camera, Satellite Radio, iPod/MP3 Input, Bluetooth, Aluminum Wheels, Dual Zone A/C, Brake Actuated Limited Slip Differential. Rear Spoiler, MP3 Player, Keyless Entry, Privacy Glass, Remote Trunk Release. Toyota XLE with Black exterior and Black interior features a 4 Cylinder Engine with 176 HP at 6000 RPM*. Serviced here, Non-Smoker vehicle. EXCELLENT VALUE This RAV4 is priced $600 below Kelley Blue Book. WHY BUY FROM US This great value located at O'Brien Toyota in Indianapolis. See the difference being family-owned makes in your customer service. Our family works for you. Since 1933. Pricing analysis performed on 3/29/2019. Horsepower calculations based on trim engine configuration. Fuel economy calculations based on original manufacturer data for trim engine configuration. Please confirm the accuracy of the included equipment by calling us prior to purchase. Spotless, CARFAX 1-Owner, GREAT MILES 23,228! PRICED TO MOVE $500 below Kelley Blue Book!, EPA 29 MPG Hwy/22 MPG City! Bluetooth CLICK NOW! KEY FEATURES INCLUDE All Wheel Drive, Back-Up Camera, iPod/MP3 Input, Bluetooth, CD Player Rear Spoiler, MP3 Player, Keyless Entry, Privacy Glass, Child Safety Locks. Toyota LE with Super White exterior and Black interior features a 4 Cylinder Engine with 176 HP at 6000 RPM*. Serviced here, Non-Smoker vehicle. EXCELLENT VALUE This RAV4 is priced $500 below Kelley Blue Book. OUR OFFERINGS This great value located at O'Brien Toyota in Indianapolis. See the difference being family-owned makes in your customer service. Our family works for you. Since 1933. Pricing analysis performed on 4/5/2019. Horsepower calculations based on trim engine configuration. Fuel economy calculations based on original manufacturer data for trim engine configuration. Please confirm the accuracy of the included equipment by calling us prior to purchase. CARFAX 1-Owner, Superb Condition, GREAT MILES 14,630! PRICED TO MOVE $700 below Kelley Blue Book!, EPA 29 MPG Hwy/22 MPG City! CLICK NOW! KEY FEATURES INCLUDE All Wheel Drive, Back-Up Camera, iPod/MP3 Input, Bluetooth, CD Player. Rear Spoiler, MP3 Player, Privacy Glass, Keyless Entry, Steering Wheel Controls. Toyota LE with Black exterior and Black interior features a 4 Cylinder Engine with 176 HP at 6000 RPM*. Serviced here, Non-Smoker vehicle. EXCELLENT VALUE This RAV4 is priced $700 below Kelley Blue Book. BUY WITH CONFIDENCE CARFAX 1-Owner WHO WE ARE This great value located at O'Brien Toyota in Indianapolis. See the difference being family-owned makes in your customer service. Our family works for you. Since 1933. Pricing analysis performed on 4/19/2019. Horsepower calculations based on trim engine configuration. Fuel economy calculations based on original manufacturer data for trim engine configuration. Please confirm the accuracy of the included equipment by calling us prior to purchase. $300 below Kelley Blue Book!, EPA 29 MPG Hwy/22 MPG City! CARFAX 1-Owner, LOW MILES - 12,383! Bluetooth, CD Player, iPod/MP3 Input SEE MORE! KEY FEATURES INCLUDE All Wheel Drive, Back-Up Camera, iPod/MP3 Input, Bluetooth, CD Player. Rear Spoiler, MP3 Player, Keyless Entry, Privacy Glass, Child Safety Locks. Toyota LE with BLACK CURRANT METALLIC exterior and BLACK interior features a 4 Cylinder Engine with 176 HP at 6000 RPM*. A GREAT VALUE This RAV4 is priced $300 below Kelley Blue Book. OUR OFFERINGS This great value located at O'Brien Toyota in Indianapolis. See the difference being family-owned makes in your customer service. Our family works for you. Since 1933. Pricing analysis performed on 3/28/2019. Horsepower calculations based on trim engine configuration. Fuel economy calculations based on original manufacturer data for trim engine configuration. Please confirm the accuracy of the included equipment by calling us prior to purchase. CARFAX 1-Owner, Superb Condition, LOW MILES - 8,741! EPA 30 MPG Hwy/23 MPG City! CD Player, Lane Keeping Assist, Bluetooth AND MORE! KEY FEATURES INCLUDE Back-Up Camera, iPod/MP3 Input, Bluetooth, CD Player, Lane Keeping Assist, Brake Actuated Limited Slip Differential Rear Spoiler, MP3 Player, Privacy Glass, Keyless Entry, Child Safety Locks. OPTION PACKAGES ALL WEATHER LINER PACKAGE Cargo Tray, All Weather Floor Liners. Toyota LE with Barcelona Red Metallic exterior and Black interior features a 4 Cylinder Engine with 176 HP at 6000 RPM*. Serviced here, Non-Smoker vehicle. BUY WITH CONFIDENCE CARFAX 1-Owner OUR OFFERINGS This great value located at O'Brien Toyota in Indianapolis. See the difference being family-owned makes in your customer service. Our family works for you. Since 1933. Pricing analysis performed on 3/29/2019. Horsepower calculations based on trim engine configuration. Fuel economy calculations based on original manufacturer data for trim engine configuration. Please confirm the accuracy of the included equipment by calling us prior to purchase. Excellent Condition, CARFAX 1-Owner, GREAT MILES 38,440! EPA 29 MPG Hwy/22 MPG City! Nav System, Moonroof, Power Liftgate CLICK NOW! KEY FEATURES INCLUDE Sunroof, All Wheel Drive, Power Liftgate, iPod/MP3 Input, Aluminum Wheels, Dual Zone A/C Rear Spoiler, Remote Trunk Release, Privacy Glass, Child Safety Locks, Steering Wheel Controls. OPTION PACKAGES CONVENIENCE PACKAGE Adaptive Cruise Control, Heated Power Mirrors w/Turn Signals, Blind Spot Monitor, Pre-Collision System, Halogen Projector Headlamps, automatic high beams, Radio: Entune Display Audio w/Navigation, 6.1 touch-screen w/integrated backup camera display, AM/FM CD player w/MP3/WMA playback capability, 6-speakers in 6 locations, SiriusXM Radio, HD Radio w/iTunes Tagging, auxiliary audio jack, USB port w/iPod connectivity and control, vehicle information w/customizable settings, hands-free phone capability, Entune App Suite, phone book access, advanced voice recognition, text-to-speech w/programmed and customizable test responses and music streaming via Bluetooth wireless technology, Lane Change Assist, Smart Key System With panic alarm, Light. Toyota XLE with Silver Sky Metallic exterior and Black interior features a 4 Cylinder Engine with 176 HP at 6000 RPM*. Serviced here, Non-Smoker vehicle. VISIT US TODAY This great value located at O'Brien Toyota in Indianapolis. See the difference being family-owned makes in your customer service. Our family works for you. Since 1933. Pricing analysis performed on 3/29/2019. Horsepower calculations based on trim engine configuration. Fuel economy calculations based on original manufacturer data for trim engine configuration. Please confirm the accuracy of the included equipment by calling us prior to purchase. CARFAX 1-Owner, LOW MILES - 30,628! REDUCED FROM $22,860!, EPA 31 MPG Hwy/24 MPG City! Moonroof, Nav System, Heated Seats, Bluetooth CLICK ME! KEY FEATURES INCLUDE Navigation, Sunroof, Power Liftgate, Heated Driver Seat, Back-Up Camera, Satellite Radio, iPod/MP3 Input, Bluetooth, CD Player, Aluminum Wheels, Keyless Start, Dual Zone A/C, Heated Seats Rear Spoiler, MP3 Player, Remote Trunk Release, Keyless Entry, Privacy Glass. Toyota Limited with BLACK exterior and ASH interior features a 4 Cylinder Engine with 176 HP at 6000 RPM*. AFFORDABLE Was $22,860. BUY WITH CONFIDENCE CARFAX 1-Owner WHO WE ARE This great value located at O'Brien Toyota in Indianapolis. See the difference being family-owned makes in your customer service. Our family works for you. Since 1933. Pricing analysis performed on 3/4/2019. Horsepower calculations based on trim engine configuration. Fuel economy calculations based on original manufacturer data for trim engine configuration. Please confirm the accuracy of the included equipment by calling us prior to purchase. REDUCED FROM $22,988!, $600 below NADA Retail!, FUEL EFFICIENT 29 MPG Hwy/22 MPG City! NAV, Heated Seats, Sunroof, Satellite Radio, iPod/MP3 Input, Bluetooth, Back-Up Camera, Alloy Wheels, All Wheel Drive, Power Liftgate SEE MORE! TOM O'BRIEN DEALER CERTIFIED 7-Year/100,000-Mile Powertrain warranty, 3-Month/3,000-Mile Platinum Coverage, Rigorous 73-Point Inspection, 24-Hour Roadside Assistance / 24-Hour Towing (1 Year Membership), Carfax Vehicle History Report, Long Term Service Contracts Available. KEY FEATURES INCLUDE Navigation, Sunroof, All Wheel Drive, Power Liftgate, Heated Driver Seat, Back-Up Camera, Satellite Radio, iPod/MP3 Input, Bluetooth, Aluminum Wheels, Keyless Start, Dual Zone A/C, Blind Spot Monitor, Lane Keeping Assist, Smart Device Integration Rear Spoiler, MP3 Player, Remote Trunk Release, Privacy Glass, Keyless Entry. EXPERTS REPORT Edmunds.com's review says The cargo bay measures 38.4 cubic feet and opens up to a generous 73.3 cubes when the second row is folded. That's one of the largest capacities in the class. There's also a payoff for that low-mounted rear seat: a very flat load floor and low load-in height. . Great Gas Mileage: 29 MPG Hwy. AFFORDABLE Was $22,988. This RAV4 is priced $600 below NADA Retail. BUY FROM AN AWARD WINNING DEALER Huge Selection - Low Prices - Award Winning Service. Let our Family work for you - Since 1933! Pricing analysis performed on 4/11/2019. Fuel economy calculations based on original manufacturer data for trim engine configuration. Please confirm the accuracy of the included equipment by calling us prior to purchase. REDUCED FROM $26,607!, EPA 30 MPG Hwy/23 MPG City! CARFAX 1-Owner, LOW MILES - 10,953! CD Player, Lane Keeping Assist, Bluetooth READ MORE! KEY FEATURES INCLUDE Back-Up Camera, iPod/MP3 Input, Bluetooth, CD Player, Lane Keeping Assist, Brake Actuated Limited Slip Differential Rear Spoiler, MP3 Player, Privacy Glass, Keyless Entry, Child Safety Locks. OPTION PACKAGES ALL WEATHER LINER PACKAGE Cargo Tray, All Weather Floor Liners. Toyota LE with RUBY FLARE PEARL exterior and BLACK interior features a 4 Cylinder Engine with 176 HP at 6000 RPM*. PRICED TO MOVE Reduced from $26,607. BUY FROM AN AWARD WINNING DEALER This great value located at O'Brien Toyota in Indianapolis. See the difference being family-owned makes in your customer service. Our family works for you. Since 1933. Pricing analysis performed on 3/22/2019. Horsepower calculations based on trim engine configuration. Fuel economy calculations based on original manufacturer data for trim engine configuration. Please confirm the accuracy of the included equipment by calling us prior to purchase. CARFAX 1-Owner, Superb Condition, ONLY 3,819 Miles! WAS $25,944, EPA 30 MPG Hwy/23 MPG City! Bluetooth, CD Player, iPod/MP3 Input READ MORE! KEY FEATURES INCLUDE Back-Up Camera, iPod/MP3 Input, Bluetooth, CD Player Rear Spoiler, MP3 Player, Keyless Entry, Privacy Glass, Child Safety Locks. OPTION PACKAGES ALL WEATHER LINER PACKAGE Cargo Tray, All Weather Floor Liners. Toyota LE with Magnetic Gray Metallic exterior and Black interior features a 4 Cylinder Engine with 176 HP at 6000 RPM*. Serviced here, Non-Smoker vehicle, Originally bought here. PRICED TO MOVE Was $25,944. SHOP WITH CONFIDENCE CARFAX 1-Owner WHO WE ARE This great value located at O'Brien Toyota in Indianapolis. See the difference being family-owned makes in your customer service. Our family works for you. Since 1933. Pricing analysis performed on 4/12/2019. Horsepower calculations based on trim engine configuration. Fuel economy calculations based on original manufacturer data for trim engine configuration. Please confirm the accuracy of the included equipment by calling us prior to purchase. CARFAX 1-Owner, Excellent Condition, GREAT MILES 7,796! Heated Seats, Navigation, Moonroof, Satellite Radio, Premium Sound System CLICK ME! KEY FEATURES INCLUDE Navigation, Sunroof, All Wheel Drive, Power Liftgate, Heated Driver Seat, Back-Up Camera, Premium Sound System, Satellite Radio, iPod/MP3 Input, Bluetooth, Chrome Wheels, Keyless Start, Dual Zone A/C, Cross-Traffic Alert, Lane Keeping Assist Rear Spoiler, MP3 Player, Keyless Entry, Privacy Glass, Remote Trunk Release. OPTION PACKAGES ALL WEATHER LINER PACKAGE Cargo Tray, All Weather Floor Liners. Toyota Platinum with Magnetic Gray Metallic exterior and Ash interior features a 4 Cylinder Engine with 176 HP at 6000 RPM*. Serviced here, Non-Smoker vehicle, Originally bought here. BUY WITH CONFIDENCE CARFAX 1-Owner BUY FROM AN AWARD WINNING DEALER This great value located at O'Brien Toyota in Indianapolis. See the difference being family-owned makes in your customer service. Our family works for you. Since 1933. Pricing analysis performed on 4/12/2019. Horsepower calculations based on trim engine configuration. Please confirm the accuracy of the included equipment by calling us prior to purchase. This Toyota SUV has a long vehicle history of serving families’ needs from Fishers to Fishers. Depending on what model year and trim level you choose, you can enjoy features like cloth or leather seats, alloy wheels, and available adaptive cruise control. Our sales team is here to help you pick which used RAV4 is right for you, and our finance team will help you secure a loan that fits your budget. Contact us today to schedule a test drive in Indianapolis!